Country music duo Brooks & Dunn will be inducted into the Country Music Hall of Fame alongside Ray Stevens and Jerry Bradley this year! The big news was revealed during a Monday morning (2/18) event at Nashville’s Country Music Hall of Fame and Museum. Brooks & Dunn will be inducted in the Hall’s Modern Era Artist category, Stevens will enter as a Veteran Era Artist, and Bradley will represent the Non-Performer category. The induction ceremony will take place this October. Congrats to Brooks & Dunn, Ray Stevens, and Jerry Bradley on receiving this honor! Share this news with other country music fans! 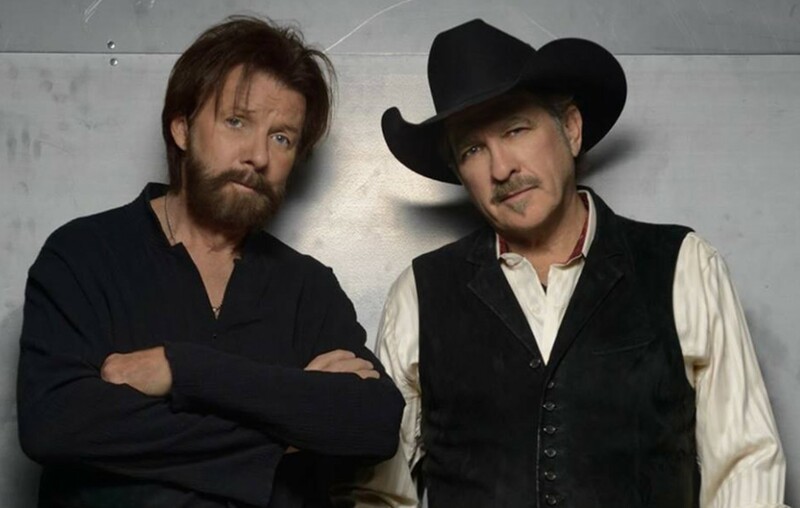 To celebrate, check out Brooks & Dunn’s “Play Something Country” music video below! Said “I’m a whiskey drinking, cowboy chasing, helluva time. “I like Kenny, Keith, Allan and Patsy Cline. “I’m a full grown queen bee looking for honey. The DJ played P Diddy. Crank up the band, play the steel guitar. Hank it up a little, let’s rock this bar. “Ha oh ho, all out in the country.